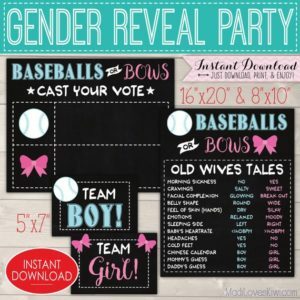 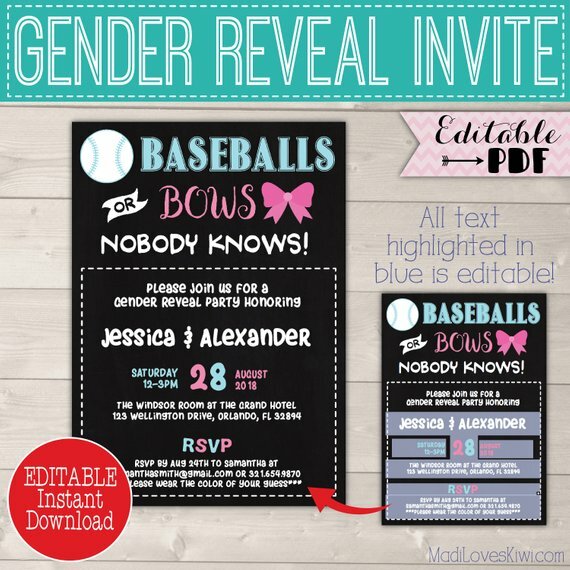 This is the perfect gender reveal party invitation for baseball and bow lovers! 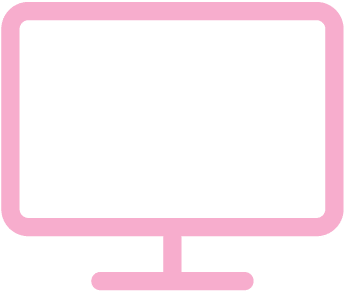 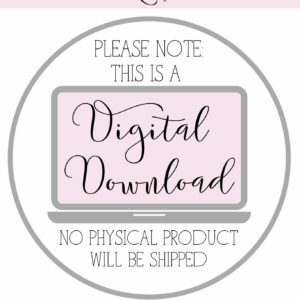 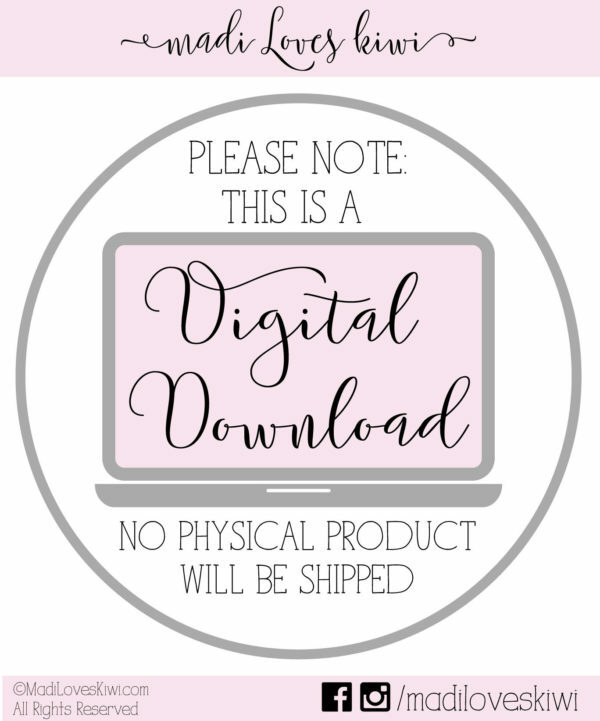 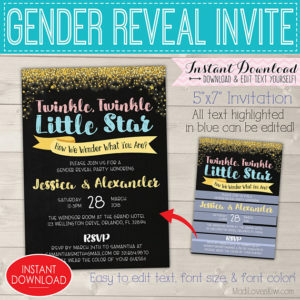 Instantly download the file, pop in your party deets, and print! 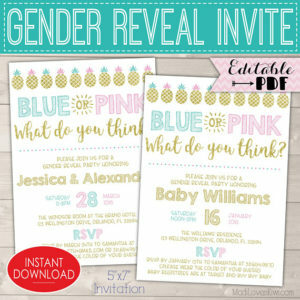 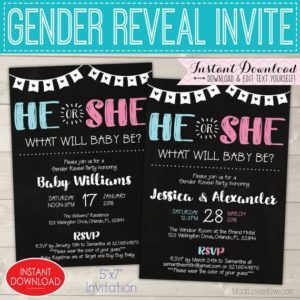 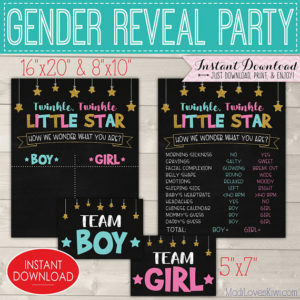 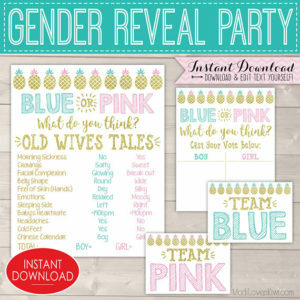 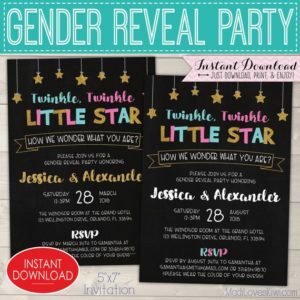 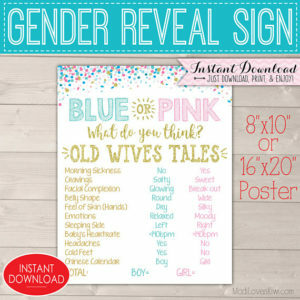 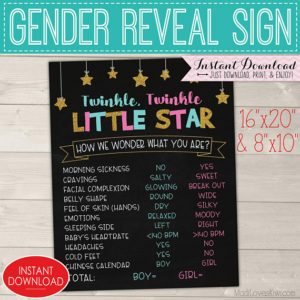 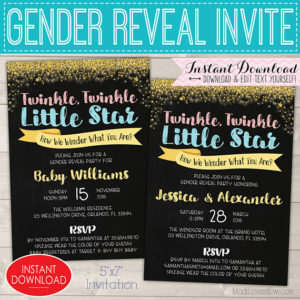 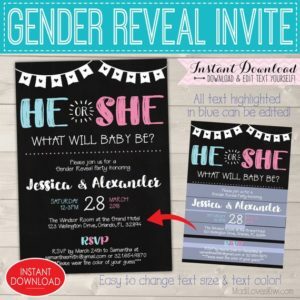 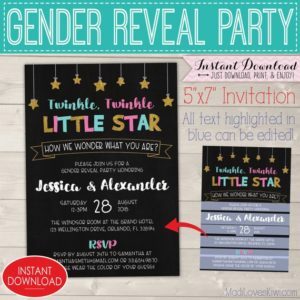 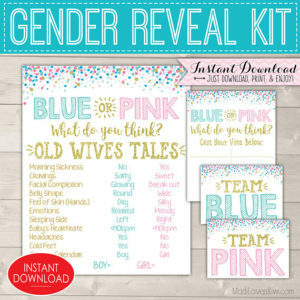 You’ll be ready to invite all your family and friends to your fun gender reveal party in minutes! 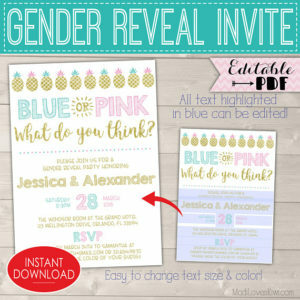 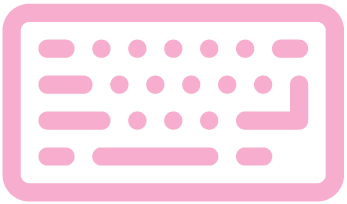 You CAN change the font size and color for editable text fields by highlighting the text.